NANAIMO — Spring has come but the mortgage test continues to show its impact on the Nanaimo real estate market. 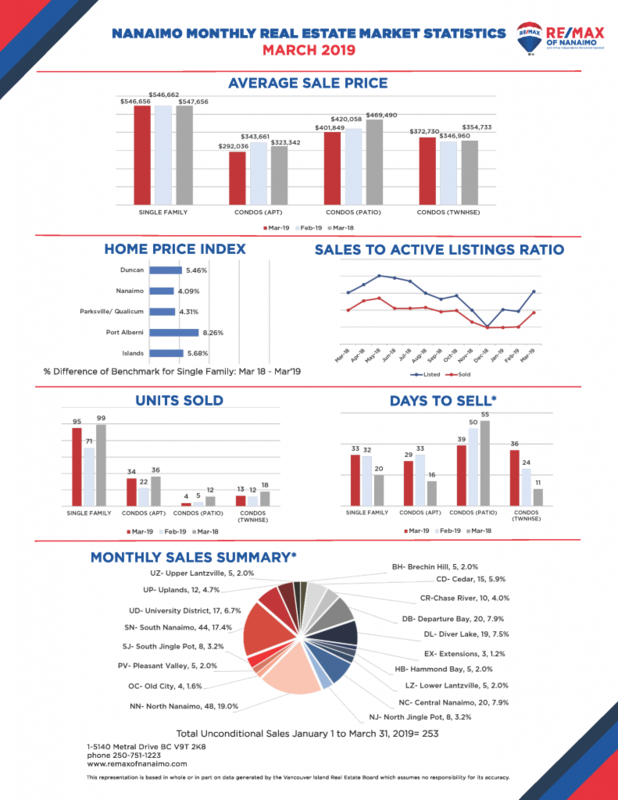 In March 2019, 95 single family units were sold in Nanaimo at an average price of $546,656 which is slightly under February 2019 and a decline from March 2018. It has certainly picked up some steam from February, which saw a slowdown from big snow storm. One thing that’s certainly still affecting the market is Guideline B-20, commonly known as the mortgage stress test. Throughout British Columbia the housing sales have weakened and the affordability shock to many buyers, especially millennials, is a big part of it. In Vancouver Island and here in Nanaimo, we’re a bit more sheltered by our older population but it’s still pushing the housing market towards more affordable homes versus higher-priced properties. This weakened housing demand has attributed to an increase in total active listings throughout the Nanaimo area and Vancouver Island. Throughout the Island, inventory of single-family homes rose by 20% from 2018 and townhouses by 24%. We’re certainly past the big booming markets of 2016 and 2017 and have hit a nearly balanced market. A market of more inventory options and negotiation power for buyers, and more realistic expectations for sellers.